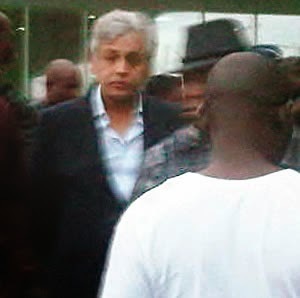 The Lagos State Directorate of Public Prosecutions has filed criminal charges against a British citizen, Deepak Khilnani, for fraud. Sources said the state might soon file a request for his extradition to face criminal charges in Nigeria. Khilnani, an Indian-Briton chartered accountant, was said to have, along with one Dr. Sushil Chandra, duped his Nigerian partner, Green Fuels Limited, to the tune of $8.8m in 2008. The DPP, last week Thursday, filed a charge marked ID/1544c/15 before the Lagos State High Court in Ikeja against the suspects. The charge contains four counts bordering on conspiracy, cheating, stealing and false representation. It was learnt that Khilnani had since last year absconded to the United Kingdom after he was granted an administrative bail by the police. The offences, according to the prosecution, contravene sections 390(6), 421, 422 and 436 of the Criminal Code Law, Cap C17, Vol.2, Law of Lagos State, 2003. Khilnani, it was learnt, is an ex-convict in the UK. The UK court document marked, T19970811, and signed by J. Jordan stated that Khilnani was disqualified for six years under Section 2, Company Directors Disqualification Act 1986. He was also ordered by the court to pay the prosecution cost of £15,000.